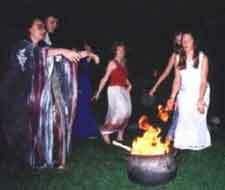 Casting witchcraft magic spells that work have been our coven's specialty since 1998. Working with a group of witches also known as a coven will increase the amount of energy that goes into casting a spell. The more energy that is put into a spell the stronger it will be. With each casting you will get 13 witches participating. We are Wiccan and only use white magic spells that work to bring ex's, soul mates and lovers together. We make sure that each client is happy and their spell of magic works! "I can't believe that we are back together! I tried your obsession love spell as a last ditch effort to bring him back to me after our huge fight. Our families got involved and it was the messiest break up that I have ever experienced. When he sent me a message on Facebook I almost fell off of my chair! He made it clear that I was never allowed to contact him in any way and then he just reached out to me randomly and told me he missed me like crazy! I KNOW it was because of your love spell. Thank you all for restoring my relationship!" "I knew I had a serious problem when my boyfriend started talking to his ex again. We fought all the time about it. He decided to throw in the towel and end our 6 year relationship over something he walked away from a long time ago. I didn't understand how this was happening to us. I felt broken. He refused to talk to me and started traveling with her all over. They posted everything they did on Facebook and everyday it hurt worse and worse. I had heard of people hiring witches to cast spells but I didn't know if it worked or not. Due to my desperate situation I decided to give it a chance. I ordered the break them up and reunite us love spell. A little over a month later their relationship was over and he was trying to get back together with me. I made him work for it and didn't just jump right back in. We went to counseling for a while and I finally feel like he is listening to me more. We are connected in a way that is hard to explain. I know it was the spell that ended his relationship with his ex and brought him back to me. I feel like we are stronger now than we were before this all started and are back on track!" "When she was introduced to me at work I instantly felt like I fell in love at first sight. I have never experienced that before and didn't know what to make of it. After getting to know her better I wanted her to be my girlfriend. She made it clear that she wasn't interested and just wanted to be friends. I didn't want to make her feel uncomfortable so I suppressed my feelings. I tried to date other people and get my mind off of her. Nothing seemed to be working. It took me years to get into the position that I am in now so I didn't want to jeopardize that by pursuing her aggressively. My cousin told me to try casting a love spell to get her to pursue me. I thought it was a joke but he said he has done it before and it worked. I was willing to try anything at this point in time. I tried casting a love spell myself but nothing came of it. So I ordered an ultimate binding spell with the hopes of getting her to feel the same way about me as I do about her. A little while after that she started asking me to go to lunch with her. Of course I jumped on the chance. She began acting flirty and was always smiling at me. It was a complete change from how it was before. She confided all types of things in me and before I knew it she leaned over in the car and kissed me. It was like fireworks went off inside of me! There is NO other possible explanation of this shift in her feelings other than the binding spell that you all cast. I can't wait to make this woman my wife and I want you all at my wedding! Thank you from the bottom of my heart!" Powerful love spells are real and DO work! Most people are on a quest to find the right practitioner that will bring positive changes into their life. The power of witchcraft spells draws a person towards someone specific. If a relationship has ended, a magic spell can help lovers reunite. When they are used properly, the power can not be matched. It takes experience to be able to cast a successful spell. Need a spell that works? NO negative side effects. Our spells are 100% safe. Witchcraft magic spells are very powerful and should be used carefully. White magic is the only kind of magic spells that we use and all are 100% safe. Nothing negative will ever happen as a side effect or as the result of any spell that we cast. We are an experienced group of 13 witches that participate in the actual casting of each spell, so you do not have to carry the burden of the three fold rule. Between all witches in our coven, we have over 100 years of experience and know what it takes to make things happen using our unique witchcraft spells. Return Lover Spells are very popular in helping a couple get back together to rekindle their love. Our return lover spell will increase your ex's feelings of missing you to where he/she will contact you again to work the relationship out. They will also have increased feelings of attraction towards you both physically and emotionally. The Importance of positive thinking is something that we encourage to each and every one of our clients. Keeping a positive mindset knowing that you are taking action to solve your problems is part of the peace of mind that you will experience when having a spell cast by our coven. All of the spells that we offer work. White magic is the only type of magic that is 100% safe. You never want to use black magic because it can have side effects. 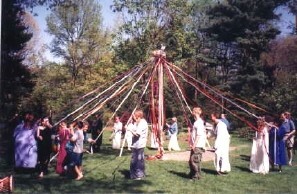 Our coven is one of the most experienced covens in the world casting powerful spells that work. Not only do you get a High Priestess with the casting of each spell, but you get 13 Wiccans putting their energy into each casting as well. There is not one coven worldwide that can even match what we are capable of doing. Witchcraft magic spells that work are rare to come by, which is why they are best left up to a professional who knows what they are doing. Not only do you get one professional witch, you get 13 which guarantees all results because our spells work. It is no joke when matters of the heart are not going well. Witchcraft magic spells can be used to enhance relationships, situations, circumstances and many other things. Finding the right spell that works can be challenging, so let us help you decide. We offer several types of love spells to accommodate most problems and situations. If there is something that you do not see on our website please contact us and ask if we can do it. Powerful love spells can mend relationships and and attract a soul mate to you. If you are deeply in love with someone and they don't feel the same way, if you want to break up a couple, if you want to keep your lover faithful, love spells are known to be a solid alternative solution. If it is a matter of lust and attraction than heart, there are love spells for that too. You can invoke the power of love spells in numerous occasions to accomplish feelings of the heart. Are the results real? YES! Our casting services produce real results. In fact we are so confident in them that we Promise each and every magic spell will work! White magic is the only kind of magic that we use. Never is any black magic used by any member of our coven. No client ever has to worry about negative side effects happening from our work. 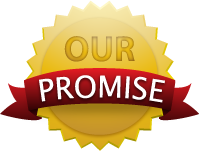 All of our magic spells work very well and are 100% safe. Our coven consisting of 13 experienced witches and one High Priestess. We all put our energy into each casting making them extremely powerful and effective. Are you looking for some extra protection or luck? We offer a variety of different protection and luck spells that work well to bring about positive changes. None of our spells interfere with each other and work well together. An increase in energy coming in and going out is an experience of a lifetime that everyone should try at least once. Our magic spells are 100% safe and effective in helping with day to day issues. If you feel as though your life is spinning out of control, we can help, don't hesitate to contact us now. All of our magic spells are cast using white magic only and produce amazing results. We go above and beyond the call of duty to make sure that every last client receives the results that they are looking for. Spells that work are hard to do but with enough experience goals can be achieved with ease. Have you had previous spells cast without results? We specialize in helping people that have gone to other warlocks and witches to have work done with no results. We have helped many people successfully when other practitioners have failed. 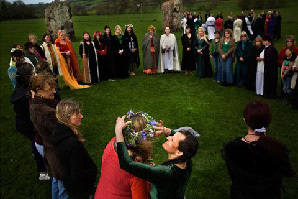 Our spells work because we have a coven of 13 witches putting their energy into each casting. We take our time with each case to ensure that every client gets their desired outcome. If you have tried spell casting on your own without success, don't get down on yourself. It is very common for an inexperienced person to not be able to cast a spell that works. That is when you have to consider having a spell cast by an experienced coven of witches to ensure that your spells of magic work. Most spells take more than one night to complete when casting witchcraft spells that work..
Have you ever tried to cast a spell that works? It is not as easy as it may seem and one should always consult a professional or fellow Wiccan to assist in the casting of all spells. Failure to to this can results in negative consequences or a spell backfiring. Using the power of witchcraft magic spells enhance your love life is one of the best ways to bring a lover back or to attract a new soul mate. It does not effect free will and is 100% safe with zero negative side effects. Do you need a spell that works? Look no further because all of our spells work and we make sure of it! Whether you have had spell work done in the past with no luck or tried casting yourself, we can help get you the exact results that you are looking for. We pride ourselves on having powerful spells that work.